Shopping around for an electric dog fence but not sure what features to look for? Should I get a wireless or an in-ground fence? Which one is right for my dog’s size and temperament? How many levels of static correction do I need? The fact that these points surface over and over is a sure fire indicator that they’re important in the buying process. Knowing the answers to these questions will help you make a more informed buying decision and ensure that you end up with a fence you’re satisfied with. Now — let’s dig into the Top 10 things to look for when you’re shopping for an electric dog fence. 1) How much area can it cover? The transmitter is the component that determines how much area an electric fence can cover. While some transmitters can only cover 1 acre, others are powerful enough to cover 25 acres or more. 2) What’s involved in the installation process? Wireless systems are quick and easy to set up — you can easily have one up and running in less than an hour. In-ground fences take more time and elbow grease to install. Depending on the area that needs to be covered you’re looking at anywhere from 1-2 days. One thing to keep in mind with either type of electronic pet containment system is that they can both be used in conjunction with an above ground fence. For example, many people stopped their dog from digging under or jumping over a wood or chain link fence by attaching their boundary wire to it. 3) What size dog can it be used on? The receiver collar is without a doubt one of the most important things to consider when buying either type of electric dog fence. How big is the receiver unit? Although there are a huge variety of collars available that can be used on dogs from as small as 5 lbs all the way up to 250+ lbs, one of the things I want to caution you on is that you can’t always trust the manufacturer’s recommendation. On more than a few occasions I found that what the manufacturer recommended was very different than what people using the system recommended. For example, PetSafe says that their Stubborn Dog In-Ground Fence system is good for any dog over 8lbs. However, because the collar that comes with this fence is one of the largest and heaviest on the market the vast majority of consumer reviews suggest that most people are using it on dogs in the 50-200 lb range. For this reason my comparison tables list the weight range that consumers suggest rather than what manufacturers recommend. 4) What features does the receiver collar have? Is it waterproof? Waterproof implies that the collar can be submerged for prolonged lengths of time. Water resistant means that it’s OK to get the collar wet — like if your dog is swimming or out in the rain — but submerging it for any length of time may damage it. Is it durable? Only you know how rough and tumble your dog likes to play so whether or not the collar will hold up to whatever your dog puts it through is definitely something you want to take into consideration when comparing one system to another. Rechargeable vs disposable batteries: Some of the things to think about when dealing with rechargeable batteries are: How often will the collar need to be recharged? How long does it take to recharge? Is the charger included with the fence kit or does it have to be purchased separately? In addition to knowing about how often the battery has to be changed, when you’re dealing with disposable batteries it’s also important to know if they’re proprietary or non-proprietary. Proprietary batteries are generally more expensive be harder to find whereas non-proprietary batteries are cheaper and can be found pretty much anywhere batteries are sold. Does it have a safety time out? Most collars have some kind of built in safety time out that will ensure your dog never receives an electric stimulation for longer than a set amount of time. But every collar is different: some automatically shut off after 30 seconds, others after a minute. Some deliver a continual stimulation until they time out, others pulse on and off in cycles of stimulation and rest. However the collar functions in this regard, for your pet’s protection it’s best to be sure it has some sort of safety feature that will ensure the static correction automatically turns off after a certain period of time. Does it have a low battery warning? Whether you’re dealing with rechargeable or disposable batteries, most people feel it’s important to have some kind of audible or visual warning to alert you to a low battery. Are other collars compatible with the system? This is especially important if yours is a multiple dog household. Being able to choose collars that match the size and temperament of each dog plays an integral role in keeping all your canine buddies safe and happy. 5) How many levels of static correction are there? Although many people still use the term ‘shock collar’, it’s an outdated term that was used in reference to collars made decades ago. 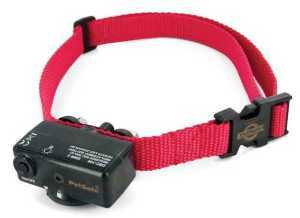 These collars were very powerful, had few levels of static correction to choose from and had few safety features. Today’s modern electronic collars are much safer and have built in safety features that will prevent your dog from getting hurt. Despite that, there’s always going to be a lot of controversy surrounding the use of e-collars. No matter what term you use, the static correction is what every collar on every electric fence system uses to train any dog so no matter what fence you buy, you can’t get around the fact that at some point your dog’s going to receive an electric stimulation. Are they adjustable? Whether your dog is big or small, compliant or stubborn, you want to be able to adjust the intensity level of their static correction so that you can get maximum results with the absolute minimum amount of electric stimulation. Is there a beep (or beep and vibrate) only training mode? Most collars on the market today offer a beep or beep and vibrate only warning mode which allows you to familiarize your dog with their new boundaries before introducing the static correction. By training your dog in this manner the warning quickly becomes the only motivation they need to stay within the boundaries of their containment area. 6) How reliable is it? This one is tough question to answer in a few sentences but it’s definitely something you need to consider when buying any type of electric dog fence. What I can tell you is that I’ve done all the leg work when it comes to researching various electric fences and assessing the reliability of any given system is one of the things I’ve included in the in-depth reviews I’ve written. So before you buy you might want to check out my comparison tables to learn more about the differences between various in-ground and wireless fences. There are a lot of things that factor into cost when you’re looking at electric dog fences. Things like what comes in the kit? What items will you need to purchase separately? So when it comes to price I really can’t give you a ‘normal’ or ‘average’. You can get a reliable basic in-ground fence system for around $100 or you can pay upwards of $400 for a system with a lot more features and all the bells and whistles. There are DIY dog fences out there for all different sizes and shapes of yards and for every size and temperament of dog. What’s important is that you take the time to look around and figure out which one is the best for you and your furry friend. Because there are so many things to consider I’ve written a separate article that will help you estimate how much you’ll spend on your fence, depending on your situation. 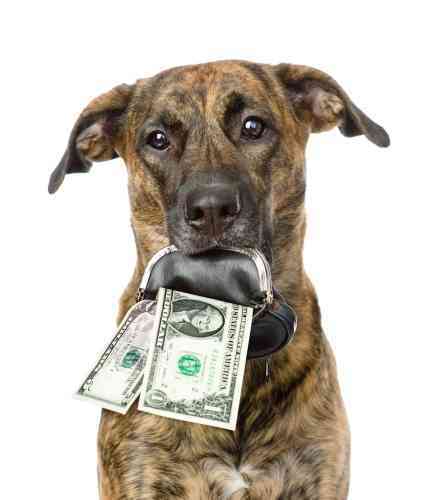 Having said all that, what I can say for sure is that almost everyone agreed that buying an electric dog fence is less about the price and more about having a system that keeps their dog safe and secure no matter what type of property they live on or what type dog they have. 8) Can I have multiple dogs on the system? Is there a limit to the number of dogs you can have on the system? Most systems allow an unlimited number of dogs as long as they each have their own receiver collar but if you have more than one dog, you’ll want to double check to ensure the fence you buy can accommodate all your four legged friends. Are there compatible collars for different size dogs? 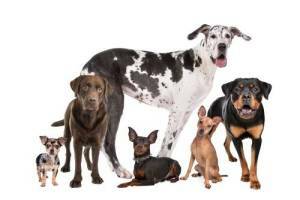 If your multiple dog household is of the Mutt and Jeff variety, you’ll need to be sure that the system you end up with has compatible collars for all different size dogs. Can you set the correction level of each collar individually? Because every dog has a different personality and temperament, it’s important to be able to tailor the static correction level on each collar to the needs of each individual dog. For example, your easy to train dog probably won’t need the same intensity level as your hardheaded buddy. 9) Does it come with battery backup and a surge protector? Consumer reviews indicate that these are the 2 most important components when it comes to keeping your fence up and running in the event of a power outage or lightning strike. 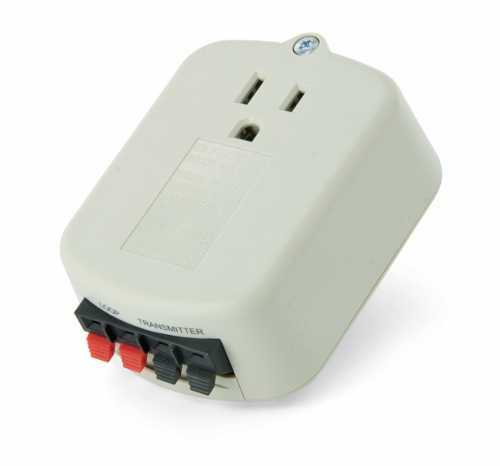 Battery backup: Whether you decide to go with a wireless or in-ground fence your transmitter will need to be plugged into a standard outlet to work. And unless you have a battery backup, if the power goes out your fence stops working and your dog will be left unprotected. In the event of a power outage an Uninterruptible Power Supply, aka UPS, can provide your transmitter with battery backup and keep your fence up and running for a limited amount of time. Some systems come with a battery backup but if you’re buying one that doesn’t, depending on your situation you might want to consider adding a UPS to your list. Surge protector: This device is only relevant if you end up with an in-ground fence. It’s designed to protect your system from damage that can be caused by lightning-induced power surges that travel back up the boundary wire and damage your transmitter. But you can’t. Surge protectors for in-ground fences are specially designed to have ports on the bottom so that you can plug your boundary wire in and this is another item you might want to add to your list if it’s not included in the fence kit you’re buying. 10) How much ongoing maintenance will I have to do? Like many electronic items, both wireless and in-ground fences have ongoing maintenance. But without a doubt the top contender in this category is finding and repairing breaks in your boundary wire. This is by far the biggest hassle consumers wrote about in their reviews of in-ground dog fences. Having said that you should also know that most people think it’s well worth it. The time and effort they spend maintaining their in-ground fence is a small price to pay for the flexibility it offers them. 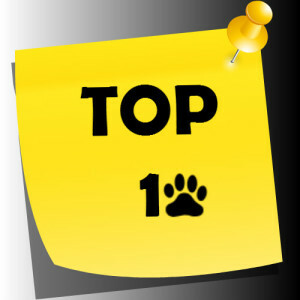 So there you have it…the Top 10 things to consider before buying an electric dog fence. But probably one of the most important things to understand before you buy an electric dog fence is whether you’d be better off with a wireless or in-ground fence. There’s a lot to that issue and knowing the 5 main differences between the two will help you decide which type is right for your situation. That one’s easy 😉 Just head on over to my Comparison page where you’ll find links to reviews on different brands of electric dog fences. I’ve done the research, I’ve left no stone unturned…and you’ll get all the information you need in my in-depth reviews!